Thanks for the somber yet adorable reminder! How could I have forgotten it was Talk Like a Pirate Day? Thanks so much, Cadry! 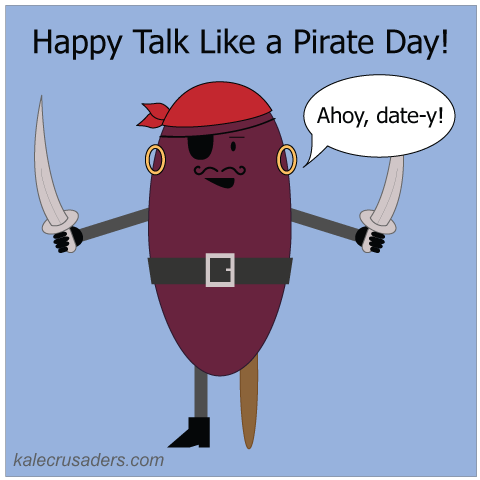 Talk Like a Pirate Day snuck up on us this year too! Arrrrrrrghhhh!Dates make a fine booty for a buccaneer! !